**Note: Visitor’s will have to explore the Midland Town docks to find the 4 plaques at this location. Midland opened the shipyards in the early 1900’s by a group that formed the Midland Drydock Co. They began with above-water repairs before moving on to build freighters. The yards closed down in 1928 only to be reopened in 1940 to help fill the demand for warships. The shipyards built Corvettes, mine sweepers and submarine trawlers for the British and Canadian Navy’s. 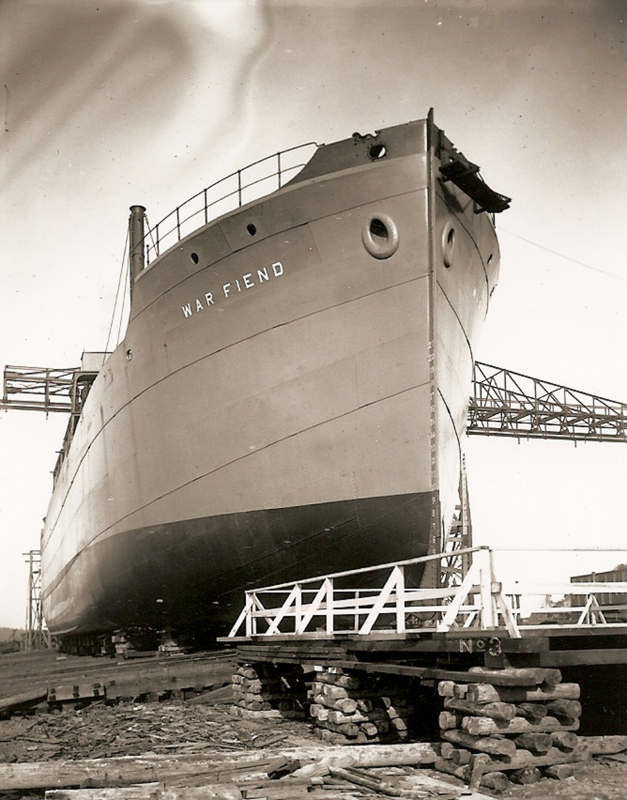 After the war, the shipyards continued to build freighters, tugs, and barges for the commercial shipping industry. The Midland shipyards, largest shipyards on the Great Lakes, were closed for good in 1957. 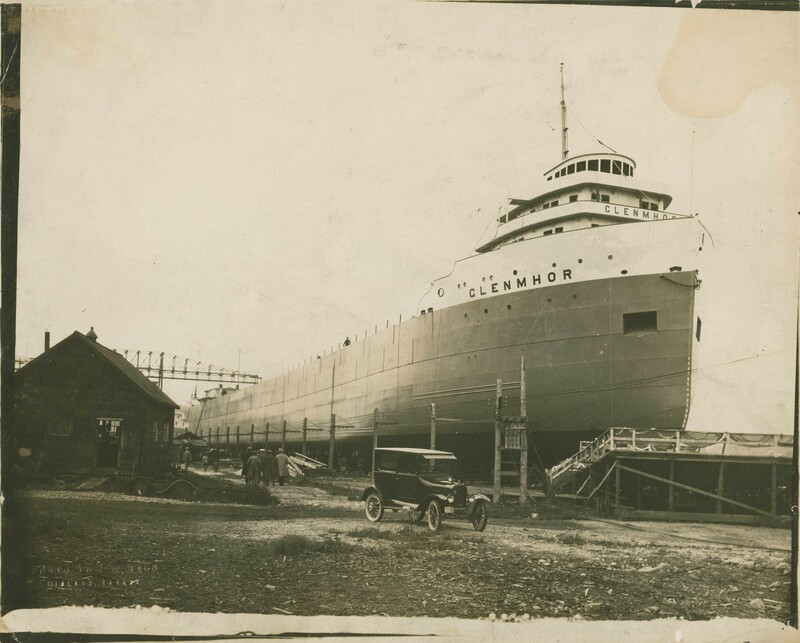 The launch of the Canadian Logger at the Midland Shipyards. Yes, there are people on the bow. 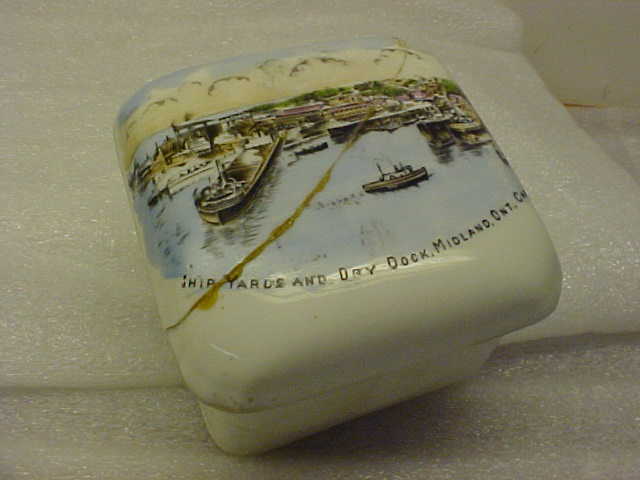 Souvenir covered dish of the Shipyards and Drydock in Midland Ontario. Part of the Huronia Museum Collection. 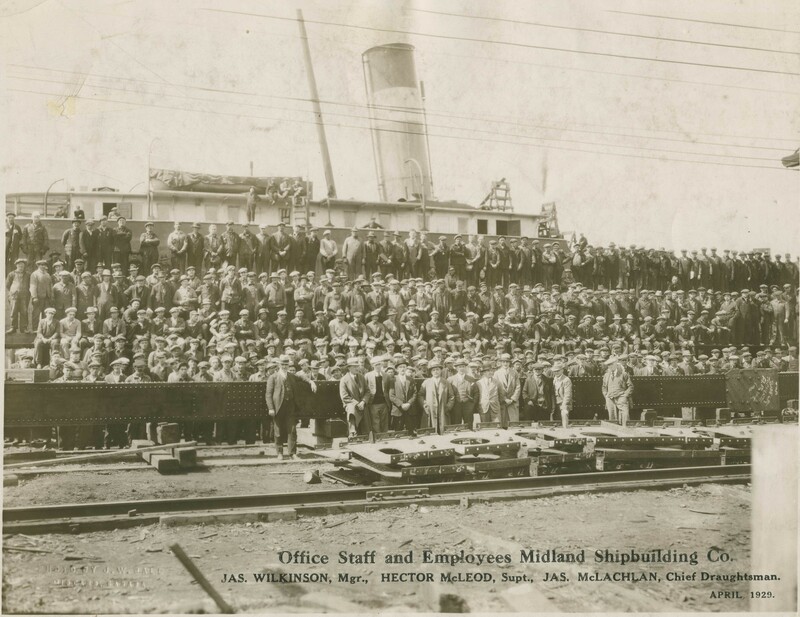 Staff photo of the Midland Shipbuilding Co. c.1929. Building Hull No. 9. 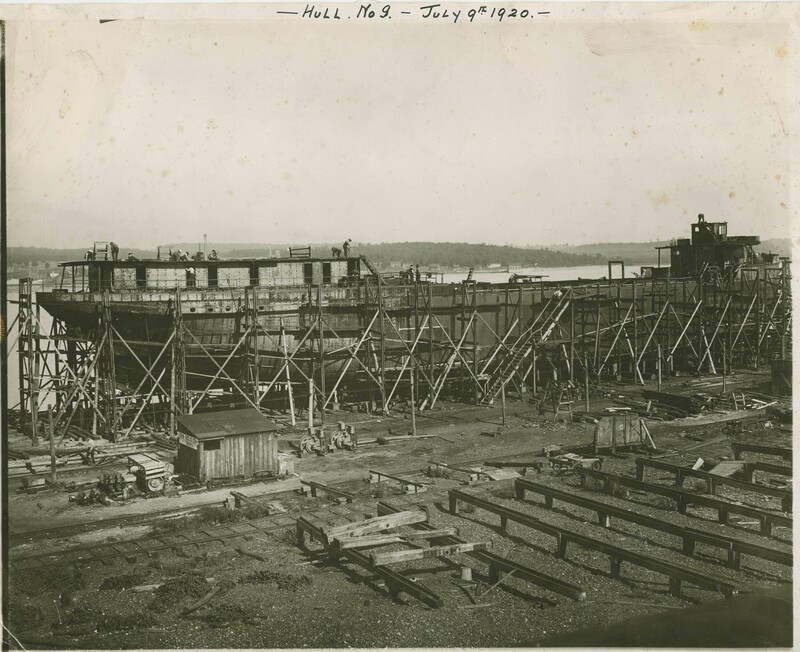 Taken July 9th , 1920 at the Midland Shipyards. The Warfiend. Built by the Midland Shipbuilding Co. for the Imperial Munitions board, finished in 1919, as a cargo ship. 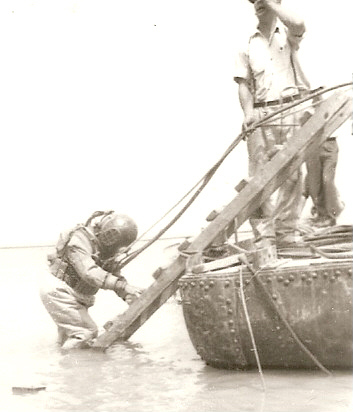 Underwater repairs were conducted by the Midland Shipyards. The diver is V. Carson. The Huronia Museum has a similar dive helmet used by workers as part of its collection. The freighter Glenmhor, built at the Midland Shipyards. 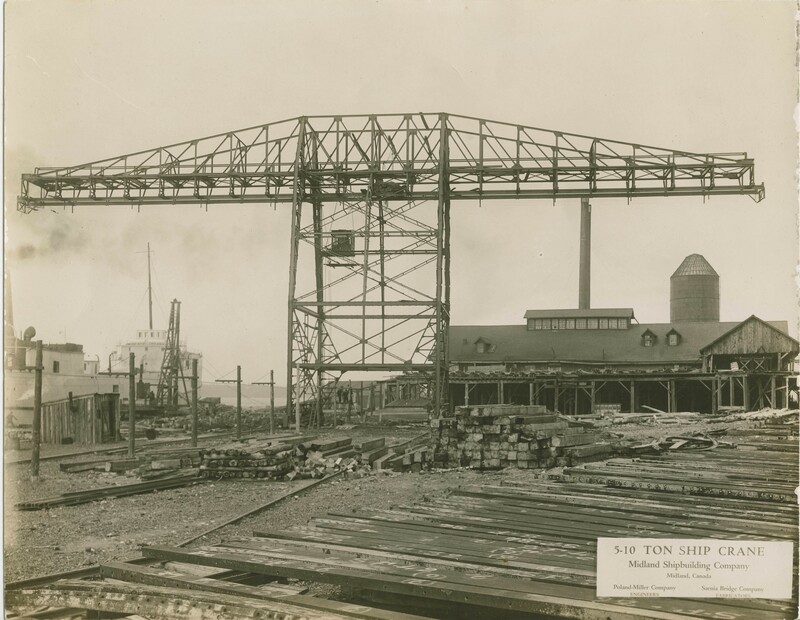 The 5-10 ton Ship Crane, owned by the Midland Shipbuilding Co.
During the Second World War, The Midland shipbuilding Co. was re-opened to support the need for warships for both the Canadian and British Navy’s. With the men away from home, women were recruited to work in factories and the shipyards. 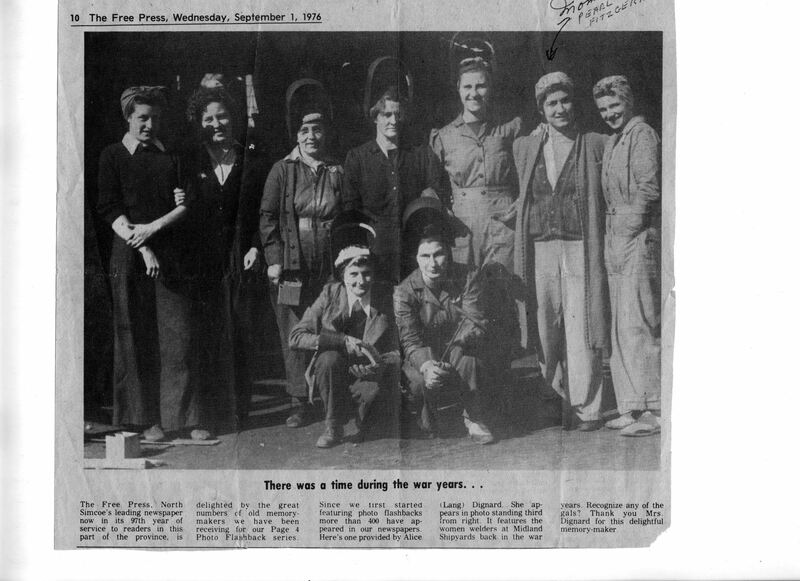 These women were welders at the Midland Shipyards. 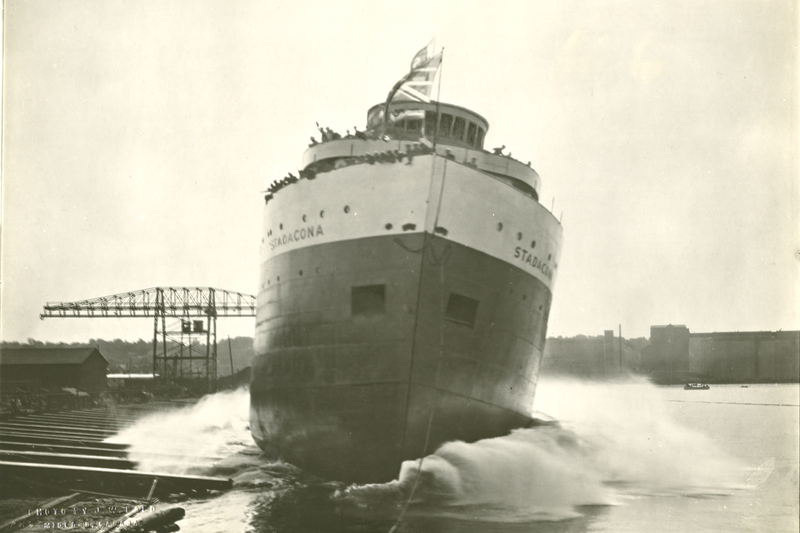 The launch of the Stadacona. 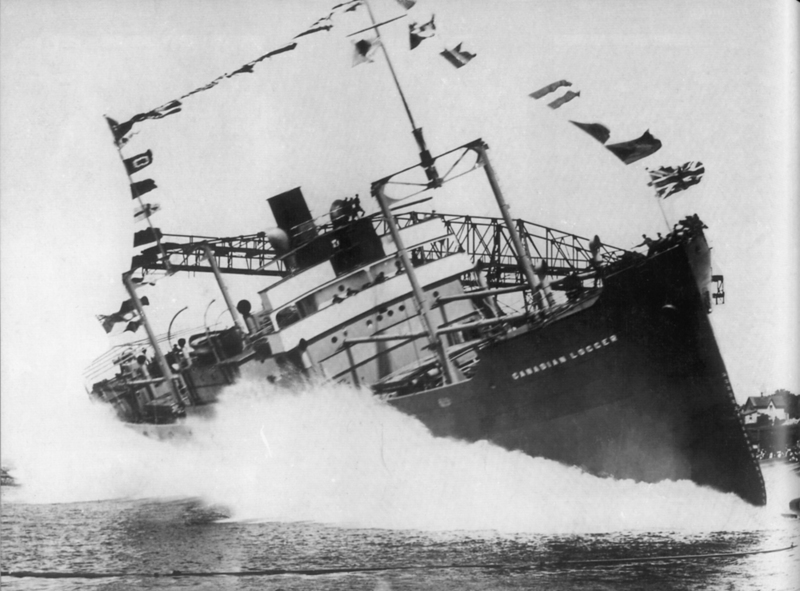 Midland Shipyards were unique in Canada for their use of the sideways launch technique. 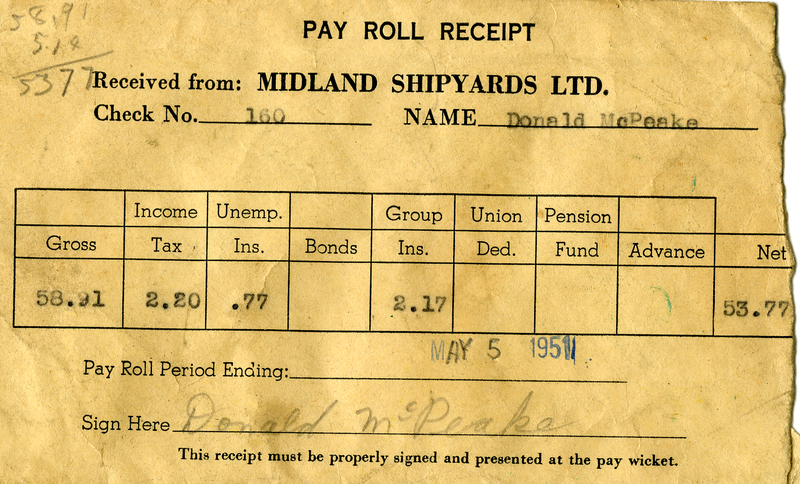 Donald McPeake’s pay roll receipt from the Midland Shipyards, c.1951. 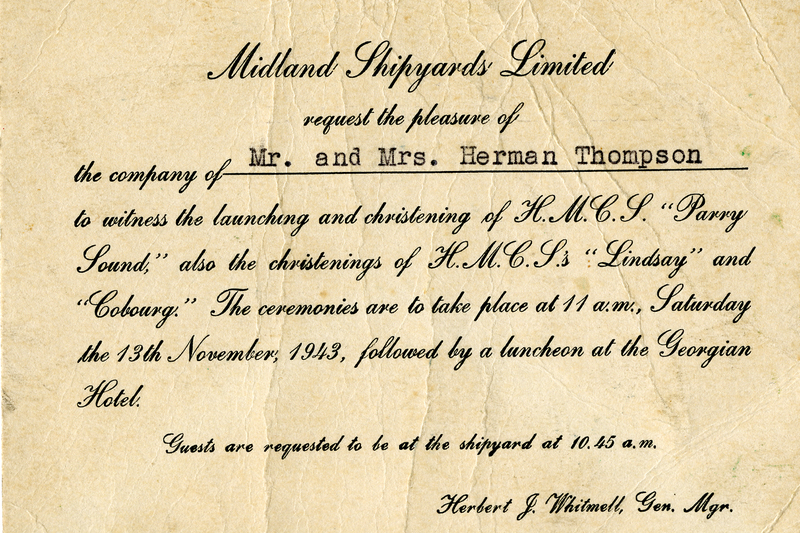 Invitation to the Christening and launching of 3 new ships built at the Midland Shipyards. C.1943.